and landscaping services extend to all of Seminole, Orange, Osceola and Polk counties. Contact us for a consultation. A: Monster Cuts accepts Check, Credit Card (Master Card, Visa and American Express), money orders or good old cash. Can My Property be serviced on a regular basis? A: Monster Cuts normally provide service on a monthly service agreement which provides a weekly cutting schedule in the summer and a bi-weekly schedule in the winter although we are very flexible and are usually able to provide all services as and when required. When you visit my property what service will you provide? A: Monster Cuts will typically mow the front and rear of your property in line with industry standards. All pathways and beds will be edged; trees, light poles, walls etc are trimmed and all debris blown from the paths and driveway. Additionally, if required, Monster Cuts will trim all shrubs and apply an appropriate weed killer to all beds to keep them weed free and looking great. I am tired of how my yard currently looks—can you help? A: The answer to this question is an emphatic YES!!!! Whether you’re envisioning something whimsical or minimalist, classic or contemporary, we can design and install a landscape to suit your style, budget and space. Landscaping is the perfect way to add instant curb appeal to your home or business. We are very proud of our yard and need a company who can maintain our high standards. Does Monster Cuts fit the bill? Do you provide advice about fertilizers, pest control, or problematic lawns? A: Yes. We inspect the condition of your property as we perform our services. You should certainly avoid over fertilizing as this can stress plants and leave them vulnerable to disease. 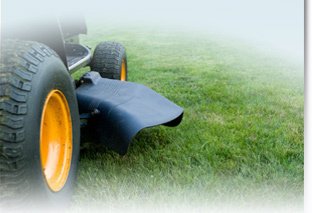 Prevention is maintaining a healthy turf with correct mowing procedures, watering and fertilization. Preventing disease is the best strategy and once the symptoms are visible, chemical rescue treatments are not recommended for homeowners. What is the most common mistake homeowners make in caring for their lawn? A: Lawn experts agree that the majority of lawn care problems arise from not mowing the grass at the correct height. Mowing the grass at the correct height will keep your grass at its best and increase your lawns density and reduce problems. Please contact Monster Cuts if you have additional questions about landscaping, lawn care, or pressure washing for your Central Florida home.